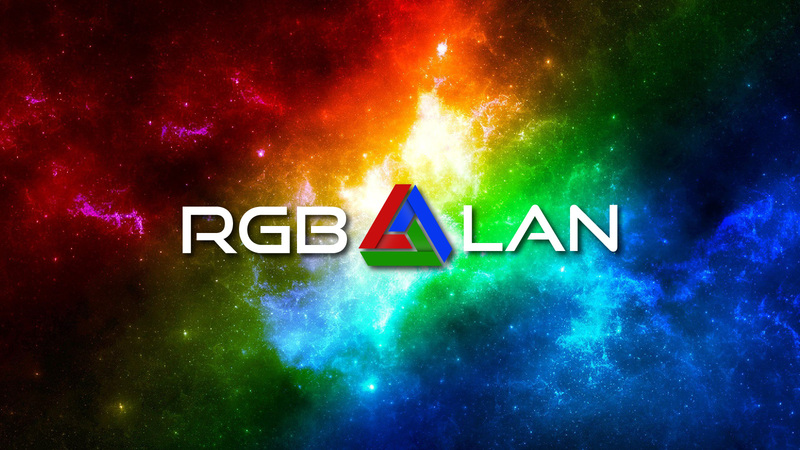 After weeks of anticipation and building, we are proud to formally announce RGB LAN: The charity LAN party! This Bring Your Own Computer (BYOC) event will be held at the Greater Philadelphia Convention Center in Oaks, PA from March 3-5. We’re a group of gamers with many years of experience in running LAN parties. We’ve helped organize and run LANs and tournaments at DreamHack Austin, Intel LANFest, MAGFest, The GXL, and more. We all have different backgrounds from networking, to engineering, to web design, to social media and with our forces combined we know we’re starting a great new chapter in East Coast LAN parties. The idea comes from our illustrious and fearless leader, Dave Sylvia, who has helped organize and run a few LAN parties in the past and might just be the most organized and ambitious out of all of us. He reached out way back in May with one idea: Let’s start our own East Coast LAN party, but let’s make it mean something. After months of discussion and thought, we finally settled on one idea. We would form a charity LAN party where gamers not only competed against each other for prizes, but competed to raise money for charities. Hence RGB LAN was born. As mentioned earlier, RGB LAN is a charity BYOC LAN party where you, the gamer, can bring your computer and play games for an entire weekend with hundreds of other gamers. Beyond just gaming, there are tournaments for games ranging from the popular (Counter-Strike: Global Offensive, Team Fortress 2, and more) to fighting games (Super Smash Bros., Street Fighter, etc) to the obscure (To Be Announced). If you want to win prizes without gaming, we will have plenty of opportunities for that as well! The real backbone of what RGB LAN is about, however, is the charities. Each gamer will join one of three teams (Red, Green, or Blue) and each team will be assigned a charity (To Be Announced). Gamers will compete to earn points for those charities through donations, competitions, and gaming tournaments. At the end of the weekend the points will be tallied and the winning team/charity will earn some fantastic prizes! Keep your eyes peeled. We have plenty of announcements ahead, like who the charities we support will be, when registration is opening up, and more! We have so much more exciting new to tell you, but we can’t do it all at once! In the meantime, take part in our Gleam campaign to already compete to win a free game. Follow us on Facebook, Twitter, and Instagram to see what we’re up to and be the first to know about new announcements! And most importantly: Block off March 3-5 for the newest LAN in town! Until then, keep on gaming.